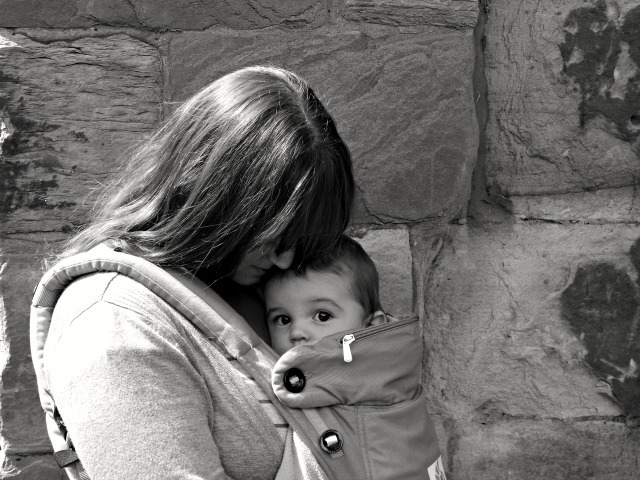 This Summer we have been testing out the Ergo Baby 360 Carrier. I am totally new to baby wearing so I wanted to see how it fitted into our life, if it made a difference and what situations we used it in. I wrote a little bit on my first impressions when we had been using it for a few weeks and since then my love for the Ergobaby 360 has only grown so here is my full review. I think anyone buying a baby carrier does their research so chances are you will already know that Ergobaby 360 is a very reputable baby carrier, well made, sturdy and ergonomically sound for your little one. I find it very comfortable to wear and easy to put on however you do need to make sure it is adjusted correctly for your build. I put it on once after my husband had worn it, didn’t tighten the straps enough and could feel the strain on my shoulders. That is the only occasion that I have felt any discomfort and it never feels cumbersome or heavy once it is secured correctly. You definitely become more confident wearing it the more you try it and I wore mine around the house first to get used to it. It is different to other Ergo’s in that you can carry your baby in four positions, on your front, inward and outward, in a hip carry and on your back. All positions are comfortable for the baby as the carrier holds them in a sitting position with their legs up and outward rather than letting them dangle straight down. I’ve tried out all the positions and I can manage on my own but I like to have my husband around for security with the back carry! My twins are still a little small to sit comfortably on my hip; they are just big enough for a back carry and we tried that out for the first time this weekend. We just needed to pop to the shops and as it was so sunny decided to walk so I thought I’d try out this carry so I could look at things in the shop comfortably. It was little Arthur in it this time and he was more than happy and as usual fell asleep. Before we received the Ergo 360 my twins hadn’t been in a baby carrier so I wasn’t sure if they would take to it straight away but both of them love to be in it, in all positions. Arthur particularly loves to be on the front, facing inward and always, always falls asleep in it. We had a family BBQ last month and I was able to wear Arthur the whole time; when he nodded off I popped the little hood over him to support his head and to shade him. It was lovely to be able to chat to people and even eat a burger knowing he was content and secure, much more relaxing than having to carry him in my arms. Brandon is the more nosy of the two so I have used the front outward carry with him when we went to have a picnic in a gorgeous park. They had some beautiful walled gardens to visit and he was able to see everything and touch the flowers as we walked around. I love the freedom it has given us this summer. We’ve done things that we wouldn’t ordinarily have done if we would have had to take a double pushchair. 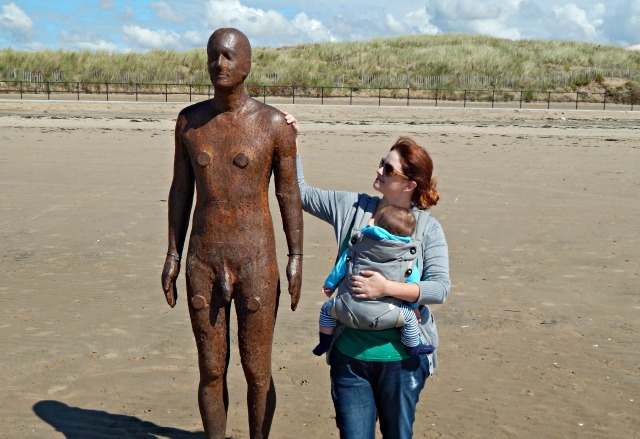 We spent a whole afternoon at a local beach and explored the sculptures they have dotted all along the shore. I was able to paddle in the sea with my eldest as Arthur watched the waves pass under our feet. When the babies are in the carrier they get to experience our outings in a totally different way, seeing things from a different point of view, being able to reach out and feel something as we pass by. 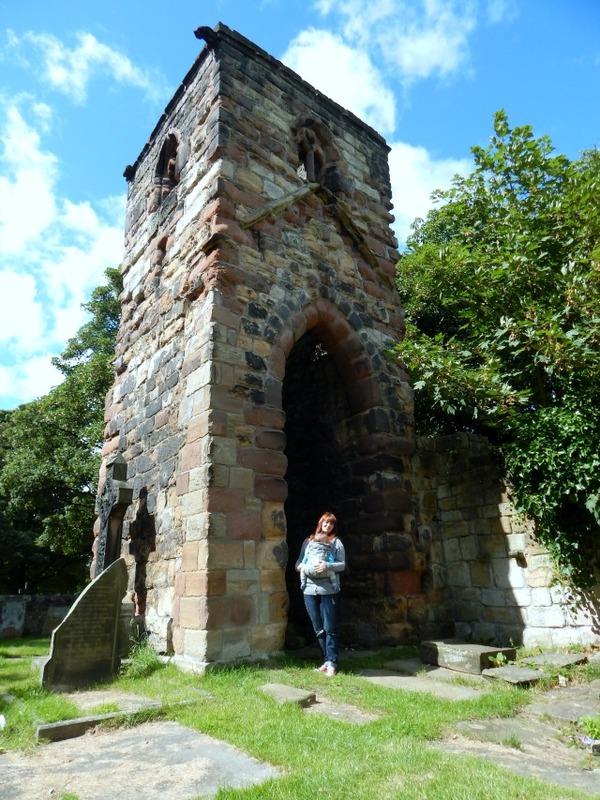 Me and my husband love to walk and one of our favourite walks is to visit a church ruin in our town. Old buildings fascinate us and we love the history behind them. We couldn’t have reached this spot with our double pushchair but with Brandon in the carrier we made it and took some lovely photos while we were there. 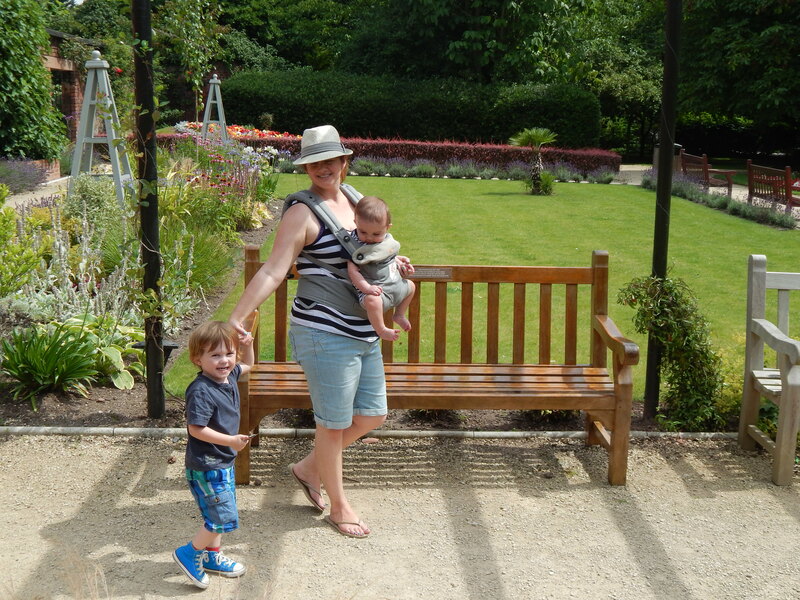 All in all the Ergobaby 360 carrier has helped us have a fantastic summer outdoors. We were going to buy a lightweight double pushchair for the twins as they got older but instead I will be buying another Ergobaby. For us it is a better investment; we can just grab two Ergo’s pop them in the car and go on an adventure knowing that we aren’t restricted. Our twins will happily sit in them and watch the world go buy, my husband loves to wear it and my Mum is itching to try it out (I am always wearing ours so she hasn’t had chance yet!) It means we can walk along holding Lucas’ hand freely and easily follow him round a park, visit ruins over hilly ground, make it into shops and cafes that aren’t big enough for a pushchair. 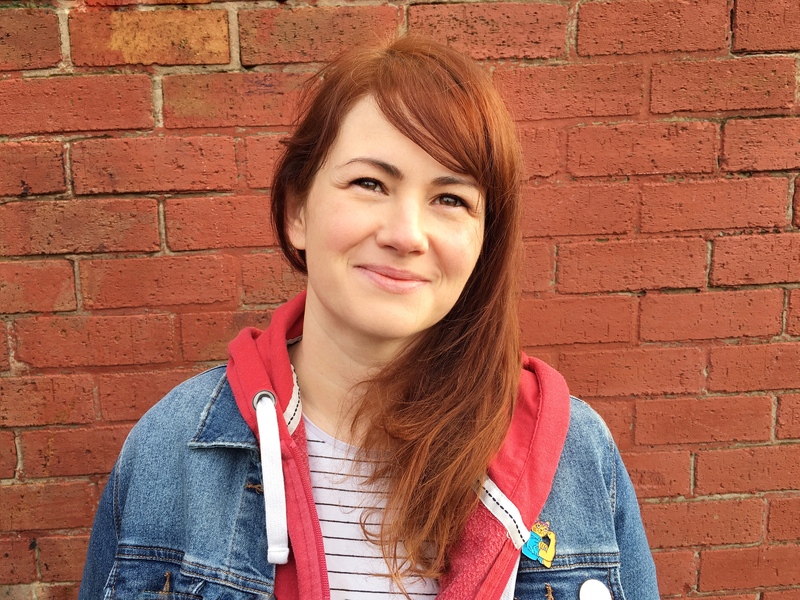 There are more things I want to do this Autumn and I can’t wait to show the twins conkers on the trees and collect the changing leaves. I’ll be using it for our visits to the library and when we have two we are looking forward to ditching the pushchair and going a little further afield. We can catch the train into Liverpool or Manchester and go round the museums. For our family, the freedom is absolutely the best thing about using the Ergobaby carrier but personally I also love having my babies so close, being able to hear their little chatters and squeals as they spot something. I can feel them breathing against me and see their eylids flutter as they start to nod off. They can watch Lucas prowling around them and giggle as he tickles their feet. It has just become a part of our life now and I always pick it up as we leave the house just in case. 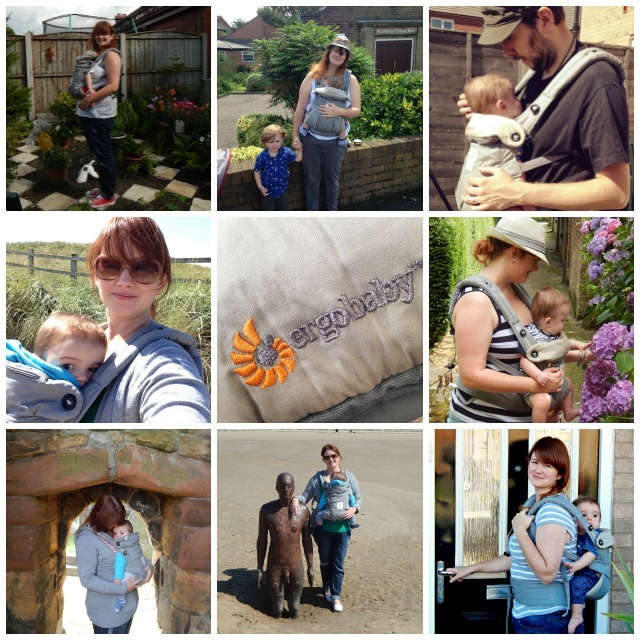 You can get the Ergobaby 360 from authorised Ergobaby stockists and find out more through Facebook and Twitter. I’ll leave you with some of my favourite snapshots of the summer. Disclaimer – We were sent the Ergobaby 360 carrier free of charge to review. All thoughts and opinions are my own. Aww! That is brilliant! They look so cosy. 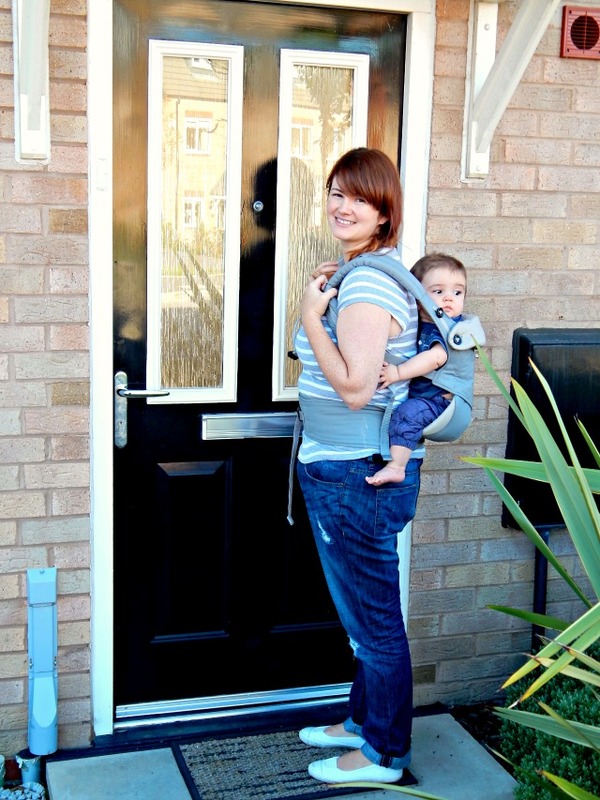 I was surprised just how easy it was (after wrestling with some other baby carriers) we love it! It looks great, I loved baby wearing, I used a wrap sling, I agree with you it gives you much more freedom to do things compared to pushing a buggy! I’m quite new to it all but I love it, there is a lot to be said for having hands free and no buggy to push! I wish I had used my baby carrier! I never got around to it with my daughter and I honestly have no idea why because I had 2 really nice ones!